Before Eos Airlines introduced its 757s outfitted for just 48 passengers, premium international air travel was designed preferential treatment and special access. But it did not change their fundamental displeasure with air travel- crowds. We recognized that premium business travelers embrace a lifestyle of high performance and control. They seek out connections wherever they go. The exception is when they travel. Instead, they develop a protective shell and a combative mindset in order to fight the masses and get through to their final destination. The airline industry believed that adding premium services and amenities to lounges and cabins would make travelers happy. Adding just managed the pain by creating small respites from the hassle and stress of the overall experience. Subtracting was the cure. In fact, the real solution was this — eliminating the crowds made all aspects of the travel experience all together different and better. 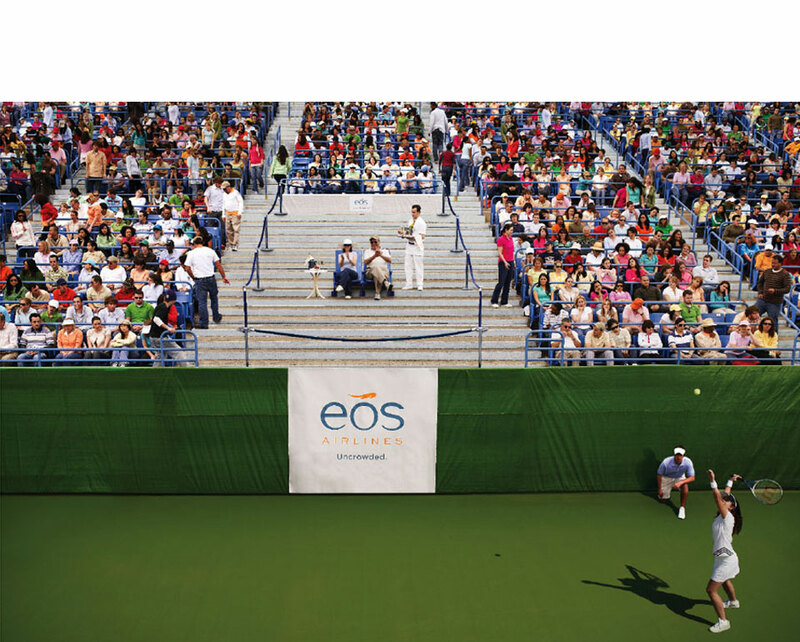 We sectioned off space at the U.S. Open allowing 2 guests to watch the match surrounded by an amazing amount of space and service representing the Eos experience. 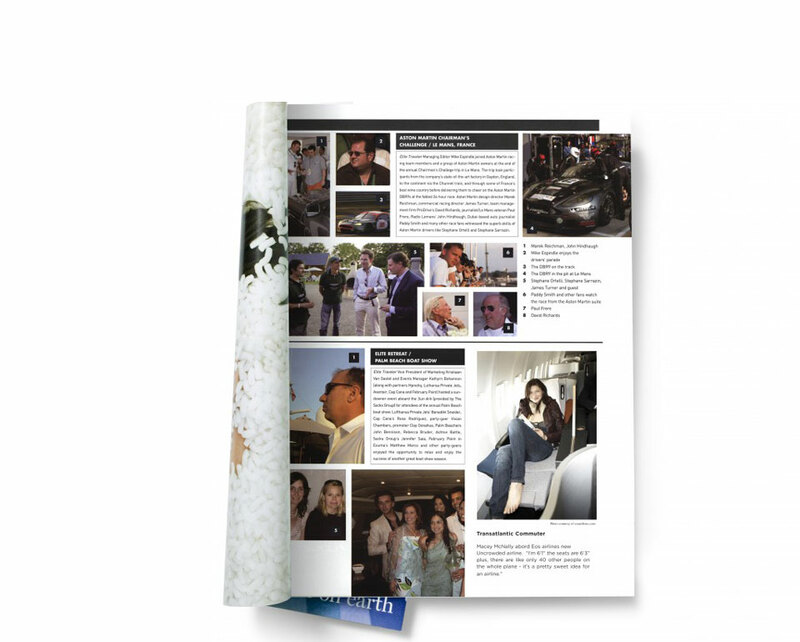 Click the right arrow to see more or scroll down to read the case study below. Advertising was made to look like editorial and shots had a paparazzi feel to them. Representing the Eos jet setting luxury lifestyle. 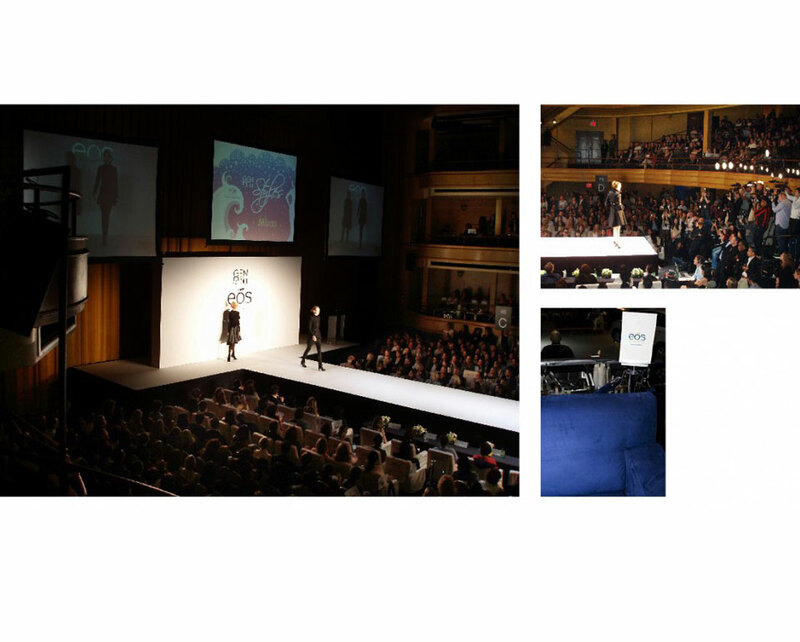 During fashion week we had runway shows featuring designers and models to further emphasize the Eos lifestyle. Also the front row had lots of space around each seat to highlight the space you get with Eos. 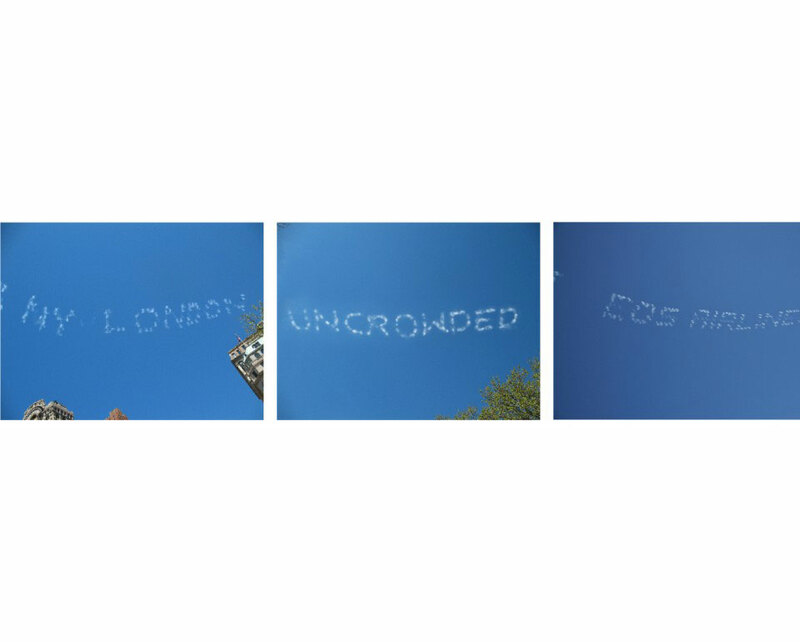 Sky writers wrote NYC – London Eos Airlines uncrowded in the sky.